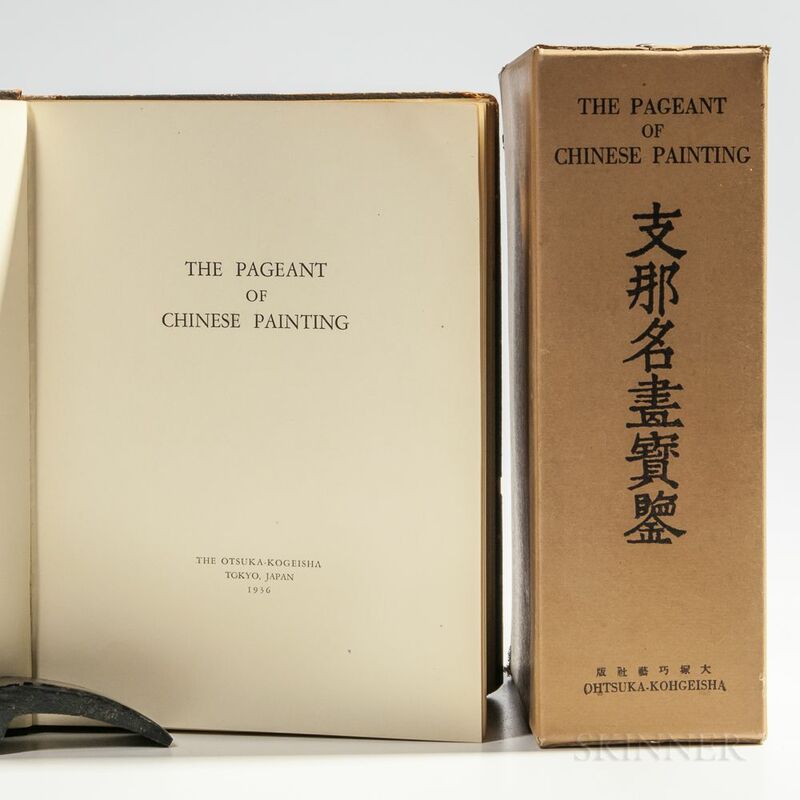 Kinjiro Harada, The Pageant of Chinese Painting, [Tokyo:] Otsuka-Kogeisha, 1936, publisher's morocco, all gilt edges, original slipcase. VG+, small tear to corner of slipcase. Minor wear to edges of covers.